How did you come across this dossier? And then he still gave them money later on by the chasuna of his youngest daughter. and they still punched him back later. oh wow. 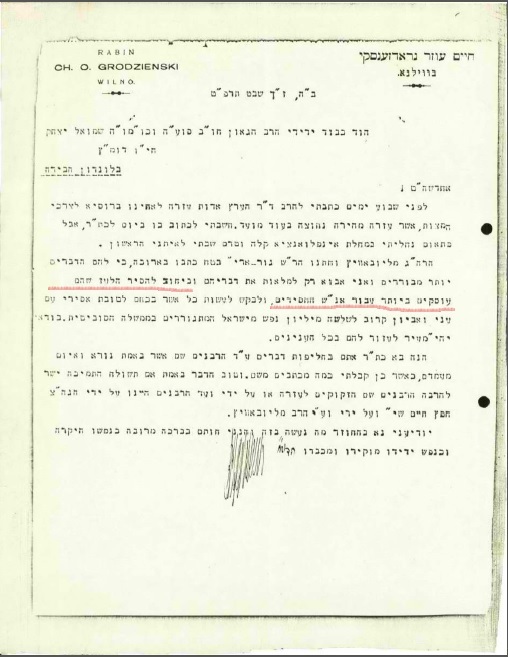 I may be off point, but seeing him mentioned in the letter and having recently read a documentary about him, can anyone explain why Rabbi Shmaryahu Gurary (the older son in law) wasn't appointed Rebbe after the Raayatz's passing. It's even more interesting considering the fact that he was considered closer and more devouted to his father in law (with RM'M not even living in the area while RS'G lived with the Rayaatz. Is it simply because RM'M was more suited to the job or was there deeper politics involved? yes. more suited for the "job." He is called the Rav From Lubavitch. Interesting. interesting letter. Why though, the negativity in the post? Focus on R'Chaim Ozers warm words, instead of anonymous accusations. Thank you for posting this. 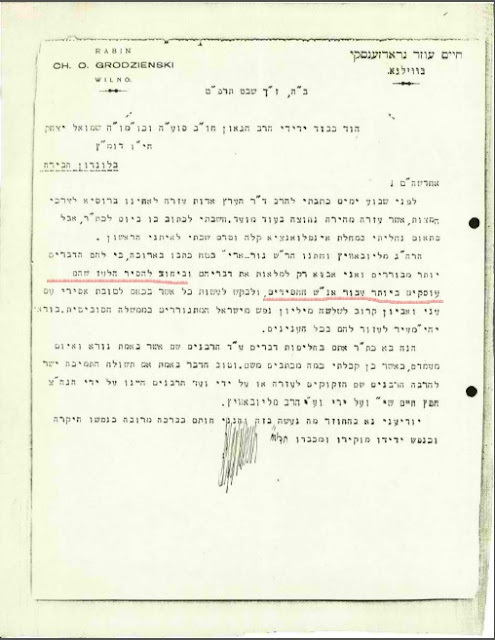 My father told me that a Soviet officer came to where he was staying with Reb Chaim Stein and Reb Chaim Shachnovitz and Reb Meir Zelig Karnovitz and others in Samarkhand, and they were all terrified that they were about to be arrested. The officer handed them an envelope from the FR with money. To see the endless traduction and calumny is so painful. So why did he stop helping when he arrived in America? Let's see. 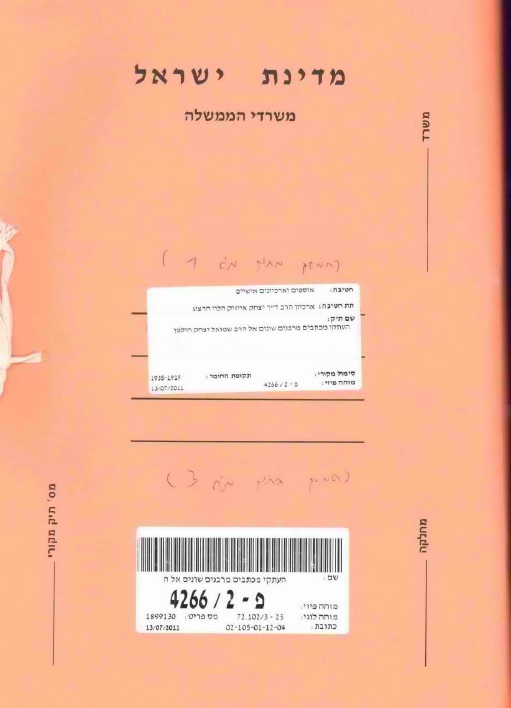 Reb Chaim Ozer collected money and passed it through the hands of the Lubavitcher Rebbe, so the credit can be used by the hangers on of his party 90 years later. RCOG did not really have a party, so nobody is screaming about his accomplishments. When the Rebbe came back from his tziyun visits with answers from his fil, Rashag said 'he hears the answers, I don't'. So he became Rebbe. Because it's not about a 'job', it's about hearing the voice(s). To mr anonymous claiming chabad has a double standard, it shows you dont get it. The crime wasnt that he took care of his own first. The crime was that he distributed to all the yeshivos, with the deliberate exclusion of chabad. That is what is decried as murder. Unfortunately some members of the satmar community are sucking up to his grandson in lakewood. and some they say are sucking up to the Lubavitchers..
hirshel: "The לעז on the FR"
How is going a cemetary to hear voices not "Doresh El H'Masim" R'L?